Oh we love a dress with pockets. 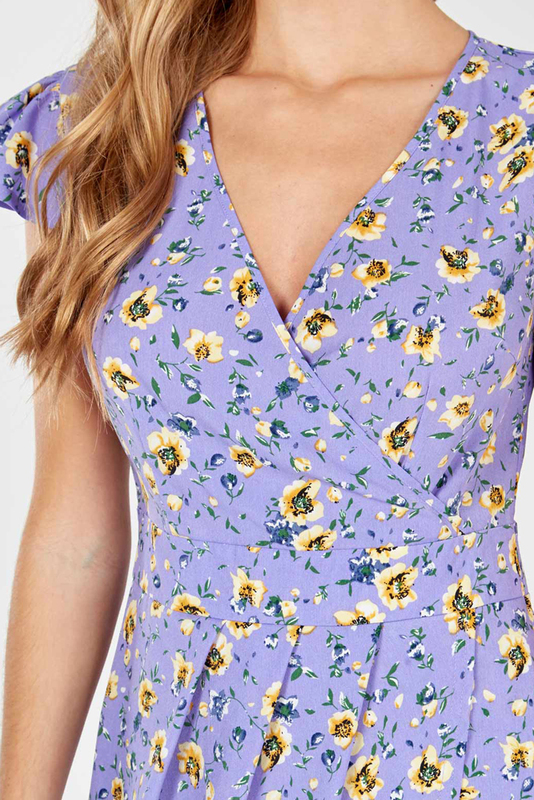 The Elsa dress has a pretty vintage floral print and fits like a dream. Being a tulip shape the waist is defined whilst the tummy and hips are disguised. A lovely shape for wearing day or night.